Co-founder, Calvyn Cass, is a Master Colourist and Stylist with extensive advanced training in colour, styling and cutting. With the foundation of his education being at the Aveda Institute in Victoria, Calvyn was given the opportunity to work alongside some of the industries top stylists. Since then, Calvyn has attended advanced training internationally in innovative cutting and colouring techniques as well as editorial and special event styling. With Calvyn quickly approaching his tenure, his most recent focus has been in building his portfolio for competition work, alongside building his business with partner Michael and his team at BRUSH. Co-founder, Michael Gibson has had a passion for hair ever since he knew how to tie his shoelaces. Growing up with an older sister as a stylist, Michael was inspired and fascinated by the industry, which led him to furthering his knowledge and training at the Suki's Academy in Vancouver, BC. 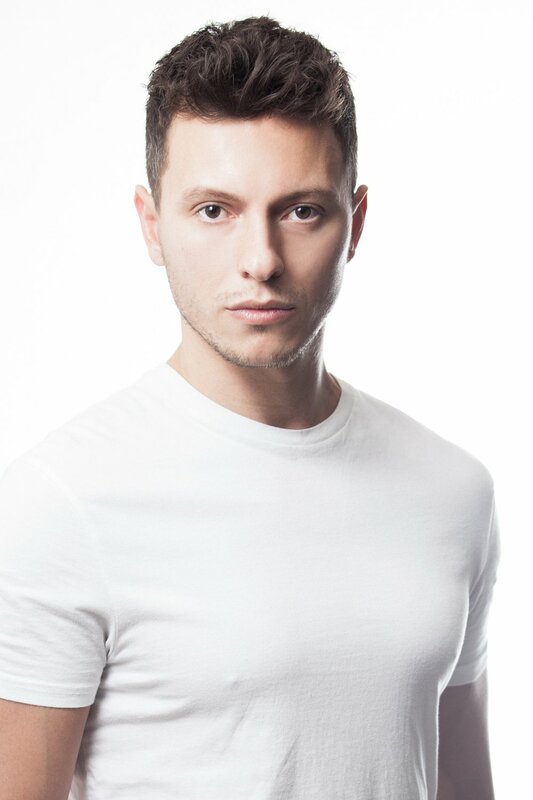 With 10 years under his belt and a variety of extensive training, Michael has perfected his signature ombres, balayage, brondes, blondes and men's hair. Needless to say, Michael is a diverse stylist that has the ability to bring out the best in anyone. Krista has always had a passion for the beauty and fashion industry which is what led her to Brush. She immediately fell in love with the upscale, sleek salon and knew that it was a place she wanted to be. As a young child Krista would watch her mother do her hair and make-up and longed for the day that it would be her turn to "play". Krista's exceptional organizational abilities paired with her leadership skills, which she perfected during her tenure as the president of her sorority while finishing her BCom at the Sauder School of Business, makes her the perfect fit for Brush. Jaimie came to find Brush after moving from Vancouver Island in 2017, where she went to college and had a variety of different occupations. She made the move to pursue her music and also to find a career she would really enjoy. When she found Brush she knew it was meant to be! Her reception experience and love for hair & all things beauty make her an excellent addition to the Brush family, where she feels right at home. Her favourite thing about her position is seeing the amazing daily transformations of clients by the talented stylists. When she's away from the front desk you can find her spending time with her family, exploring the city, and recording music. Courtney brings with her a wide range of experience and expertise. Her passion and skill for the hair industry has given Courtney the opportunity to work in a variety of situations. Salon to runway, from television to magazines, she has done it all. Courtney's eye for making every woman look and feel her best has been a huge asset to the bridal community as well. Her ability to understand what the client is looking for, along with her kind and positive attitude, make it easy to see why Courtney is at the top of her game. John's infatuation with hair became very apparent at the young age of two. Understanding the importance of education, John graduated from Utopia Academy with honours in 2010. While continuously sustaining education with some of the industry's finest in the craft of Men and Women's hair, John strives to keep his clients up to date with the latest trends. Through sharing product knowledge and styling techniques with his clients, ensuring their experience doesn't end at the salon. "Nothing is better than making someone feel beautiful”. Patsy’s focus in her career has always been the guest in her chair, from making sure they are heard the moment they walk-in to feeling their best when they leave. 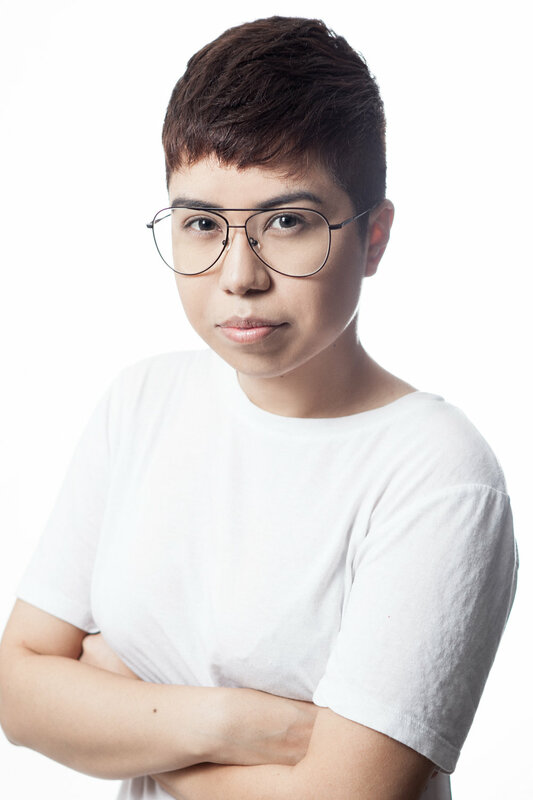 With 30 years of experience in the industry including time as an educator for Toni and Guy and most recently L’Oreal Professional Canada she feels that you must always be in a growing mind set with technical skill and service that can be passed on to her clients. Originally from Seattle Washington, she moved to Vancouver 14 years ago and has never looked back. Having the privilege to have worked with the film industry and building her career with the industry leading salons in the area she is very proud to call Canada and Brush Salon her home. 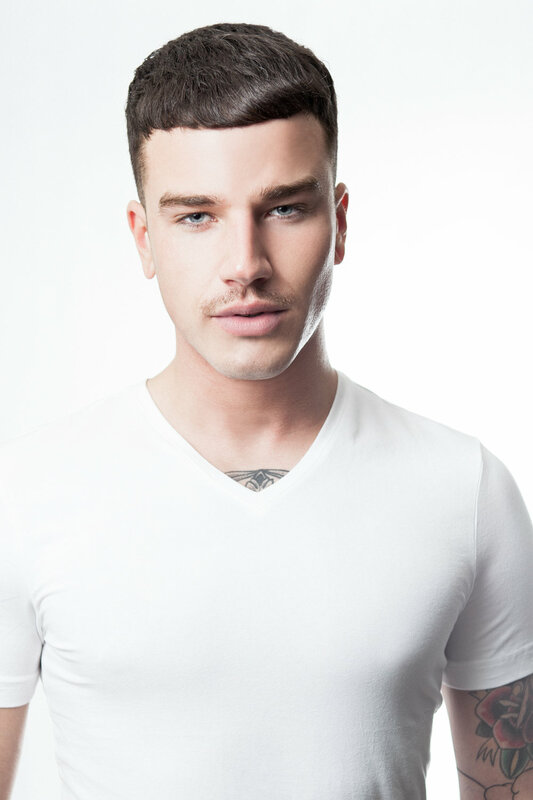 Maxfield entered the hair scene in 2010 after completing his training at John Casablanca's in Gastown. Since graduating Maxfield continued advanced education under one of Canada's top award winning stylist, who intensively trained him in precision Vidal Sassoon techniques, as well as editorial styling. Maxfield has an eye for detail and a strong love for the fashion industry which is evident in all of his work. His clientele report and effortless style is undeniable. Sara Rose grew up blessed to be beautifying, dressing and messing around inside her older sister’s closet. With a plethora of clothing, beauty products & shoes, there is no surprise that you can now see Sara acting as makeup artist, hairstylist & stylist, for any of her hired gigs. It is fair to say that Sara Rose’s career and love for beauty and fashion all flourished from there. As Sara sees it, she officially embarked on the beginning of her career in the Caribbean, where she relocated to, to take a job as a representative for the prestigious line, Estee Lauder. It was during this time, that she realized the importance of personal growth and education, which brought her back to Canada where she graduated with Honors from the world renowned Blanche MacDonald Center. She believes that you should never forget where you came from and keep your network together but forever expanding. Basic is beautiful and she is here to guide you in seeing this. Lara moved from Alberta in 2014 to pursue a career in hair and makeup artistry at Blanche MacDonald, where she graduated with honours. She then went on to join the BRUSH team, starting as an apprentice to Michael and Calvyn in the fall of 2015. She focused on learning each aspects of the craft from creating natural, fine-detailed blonding, to bold and customizable vibrant colours. Now on the floor as an accomplished stylist, her love of hair and beauty revolve around the building blocks of healthy hair, and the exact product routine that is tailored to make your dream hair a reality; whether that’s adding volume and texture to limp hair, or bringing back life and vibrance to over-processed locks. Let Lara give you the hair that not only suits you, but becomes a part of you. Once you’re in her chair, Danika will immediately put you at ease. With her good-natured, pleasant demeanour, it’s her privilege to make you feel at home. Danika has been obsessed with all things hair from as early as she can remember, and with over 10 industry years under her belt, her passion for hair has never been stronger! Danika started her career in one of Toronto’s most upscale neighbourhoods, where she had the privilege of working at an award winning salon. She spent the next 5 years honing her craft, learning from some of the industries best. You could find her working behind the scenes at Toronto fashion week, as well as doing countless photoshoots to fully exercise her craft. In 2013, Danika moved to Sydney, Australia where she continued to expand her art of hair. Danika has been living in Vancouver since 2015, and loves how the west coast has influenced her aesthetic. Danika loves to create very “lived in” balayage colours, crisp blondes, rich browns and everything in between. She loves to help her clients achieve their hair dreams without compromising the integrity of the hair, always keeping in mind the balance of hair goals with reality. Knowledgeable and sincere, Danika is your guide to your best self. 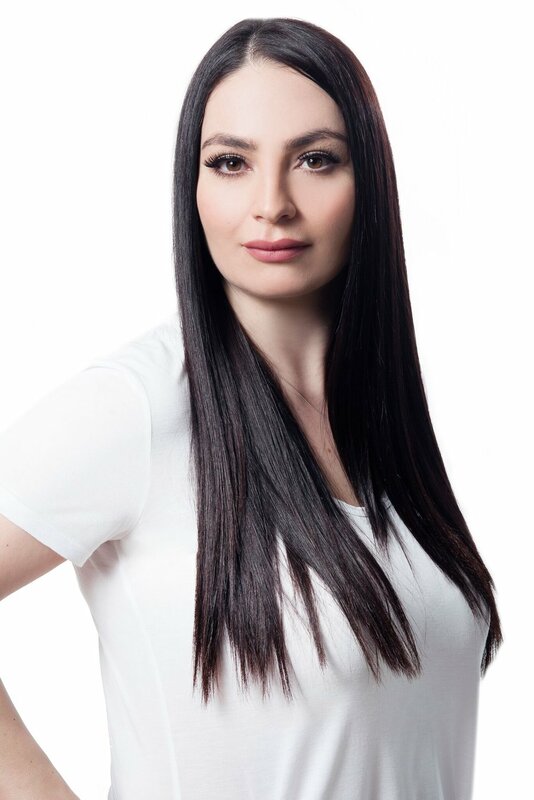 With over 14 years of experience in top luxury salons in Vancouver, Anita understands that cuts and colours should be created according to clients hair texture, face shape, individual needs, and easiness to style at home. Anita's years of being an Artistict Educator for L'Oréal Professionel and an Educator for Bumble and Bumble and training in New York, has contributed to her excellence in client care and educating amongst her peers. Anita is a blond expert and will exceed your expectations with even the most particular request. On her days off she spends time in the nature hiking or going for long walks and fitness training. Anita is a self-proclaimed beauty product addict. Heather joined Brush in the fall of 2018 from Victoria B.C, with 8 years of experience in the industry, she is truly passionate about her craft. Specializing in bright blondes, seamless blends and lived in balayage techniques, Heather is a true perfectionist. She is constantly striving to learn new techniques and committed to keeping up with current trends. She has assisted master stylist Tressa Yanchuk in three of her sought after classes based on blondes and foilyage techniques. In addition to having perfected West coast colour techniques, Heather has and eye for detailed and personalized cuts. From long bouncy layers to precision bobs, she’s determined to customizing your style to bring out the best in you. After joining the Brush team in 2015, Ji continues to pursue natural yet precise cutting techniques, customized to each of her guests. At 16 she started training behind the chair and worked her way to assisting the top stylist for High Fashion publications and runway shows in South Korea. With a passion for different cultures and travel, moving to Vancouver was her leap to broaden her knowledge in the industry, and embrace Canadian culture. Ji trained directly under Master Stylists, Calvyn Cass and Michael Gibson, to perfect her colour technique. As one of our talented Senior stylist’s, she is obsessed with innovative design, and is inspired to be more than just your average artist. Having always felt a profound passion for hairstyling, it was at the age of fifteen that Devon Almas started his career in the hair industry. After completing his technical education through a dual credit program, Devon has kept actualizing his skills by enrolling in advanced certifications such as the “Vidal Sassoon training courses”. Having developed a strong proficiency with coloration through his extensive experience, Devon has learned to perceive the world of hairstyling as his personal canvas. Prone to efficiency, creativity and personalized aesthetic, Devon has truly acquired the eye for beauty and the expertise of a trustworthy hairstylist. Emilie has always considered herself a creative driven artist. Although at the time, pursuing a career in hair was an impromptu choice, she could not be happier working in her element. Her areas of expertise are bold colours, as well as dimensional natural shades. After graduating from John Casablancas Institute in 2015 and joining our team July of 2016, Emilie continued her practical training by apprenticing under Owners Calvyn Cass and Michael Gibson before earning her own chair here at BRUSH. She is thrilled to be part of a group of such talented and unique stylists. Alyssha is a creative soul and has had a love for the arts for as long as she can remember. In 2016 she made the switch from a career in Psychology and education to follow her lifelong passion for hair and beauty. She attended the Hair Art Design program at John Casablancas Institute where she graduated at the top of her class and went on to win the award for ‘JCI Stylist of the Year 2016/2017’. Soon after, Alyssha joined the BRUSH team where she completed her apprenticeship and continues to foster her creativity and refine her skill set everyday. With a strong knack for styling and custom colours, you can find her creating bold vibrant colours, adding effortless dimension to the hair, achieving the perfect style for special events, and everything in between! Asia’s love for hair came naturally growing up in the hair and beauty industry with her mother being a hair stylist. Once graduating high school, the next step for Asia was to pursue her passion for hair by attending Blanche McDonald. Asia’s focus is to create beautiful colors while maintaining the integrity of her client’s hair. Her tireless work ethic is what brought her to Brush where she is now apprenticing for Owner and Master stylist Calvyn Cass. Asia is eager to learn from the Brush team and gain more experience to advance her skills. Let Asia’s artistry give you the hair you’ve always dreamed of. Since Sabrina was 15 years old, she has found the beauty industry to be empowering not only for herself but for all women. Having been born in Alberta, she felt the bustling atmosphere of Vancouver would be a perfect fit for her to explore and improve her knowledge and love of the industry. Her interests led her to take the Makeup Artistry Diploma at John Casablancas Institute, shortly followed by the Hair Art Diploma at JCI. Sabrina has found her inspiration has been largely influenced by editorial and the film industry. Since joining the BRUSH team she has continued to fine tune her skill set, learning from all the other talented stylists she works with. Rebeca has always had a passion for hair. After graduating from JCI, Rebeca is enthusiastic to continue her education and the opportunity to learn from the best is what brought her to Brush. Rebeca is well trained in technical precision cuts and styles. She has also been a seasonal stylist at Blo Yaletown, creating beautiful on-the-go blow outs for both special occasions and everyday work life. She looks forward to learning more about colour at Brush in the hope to one day earn her place as a stylist.